Microsoft gets in on the Black Friday spirit, offering a ton of deals this holiday season. The massive list consists of marked-down products, ranging from Xbox One bundles and partner deals for computers to Microsoft Store deals, which include the Surface lineup. First off, what this entails is that all Xbox One bundles will be shedding $50 off, setting the lowest price at $299. This means that a current-gen console with an impressive roster of much anticipated titles is now much more affordable. The bundles priced at $299 are the Xbox One Gears of War: Ultimate Edition Bundle, The Lego Movie Videogame Bundle and the Special Edition Gears of War Bundle. Bundles with a $349 price tag are the Xbox One 1 TB Holiday Bundle, Rise of the Tomb Raider Bundle, Kinect Bundle, Fallout 4 Bundle, Limited Edition Forza Motorsport 6 Console, Madden NFL 16 Bundle and FIFA 16 1 TB Bundle. Bundles priced at $449 are the Xbox One Limited Edition Halo 5: Guardians Bundle and Elite Bundle. 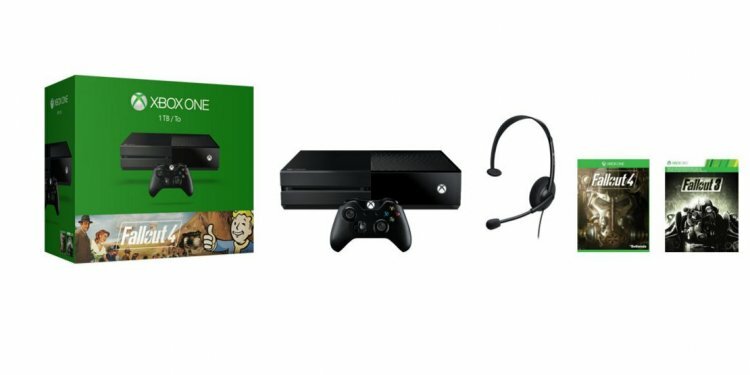 The Xbox One bundles will start to roll out on Thanksgiving, from Nov. 26, Thursday, to Nov. 30, Monday. Moving forward to the digital game deals, fans can sign up for one month of Xbox Live Gold membership through their Xbox One or Xbox 360 consoles for $1 starting from Nov. 20 to Nov. 30. This is connected to the Xbox Live Gold-exclusive deals running from Nov. 20 to Nov. 23, where members get early access to game deals that range from 40 percent to 60 percent off with an additional 10 percent just for being a member. The deals will be available to everyone on Nov. 24, and even more new deals will be coming on Nov. 27. Going over the other bargains, Microsoft and AT&T have some pretty sweet deals for the Lumia. At the Microsoft Store, the Lumia 950 XL will come with a free Microsoft Display Dock. At AT&T, the Microsoft Display Dock is priced at $39, and the Lumia 640 under the AT&T GoPhone has a $29.99 price tag. On top of those, the Surface 3 LTE gets a $200 discount when it's purchased with either a Lumia 950 or 640 XL at AT&T.